Sponsored by 76 Hawaii, “76 Motorsports Round Up” is the most unique automotive “info-tainment” weekly radio show in America. Featuring live weekly news and commentary by a team of experts, the show presents everything of interest to avid motorists and “gear heads” alike. 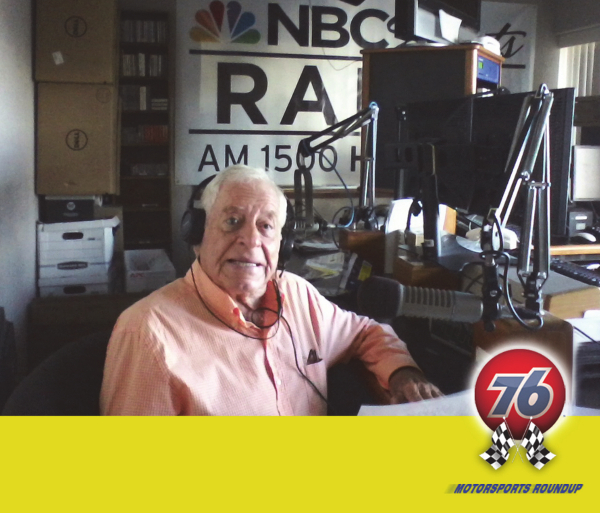 "76 Motorsports Round Up" is hosted by veteran motorsports journalist/TV producer Bill Maloney. Find out the results of the latest new car road tests. Discover the joy of the “classics.” Get the inside scoop on the world of auto racing. Take a peek at the future of automotive technology. Learn about the fascinating history of the automotive industry. Shift into overdrive with all the local car club “cruise and schmooze.” Plus, AAA Hawaii presents the D.O.T. weekend road repair reports! Check out the "76 Motorsports Round Up" show every Saturday at 9 a.m. on NBC Sports Radio on AM 1500!